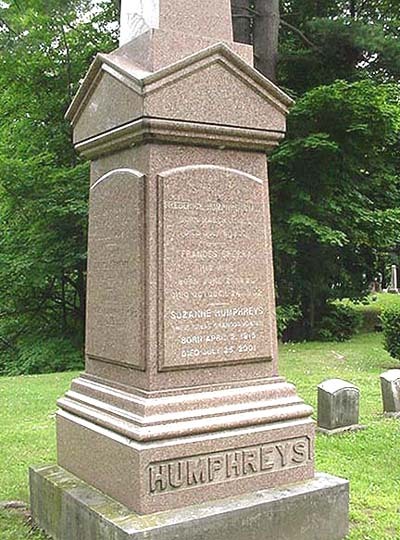 Dr. Humphreys, son of Dr. Erastus Humphreys, was born March 11, 1816 in Marcellus, N.Y. 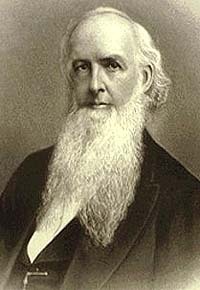 He established the Humphreys Homoeopathic Medicine Co. 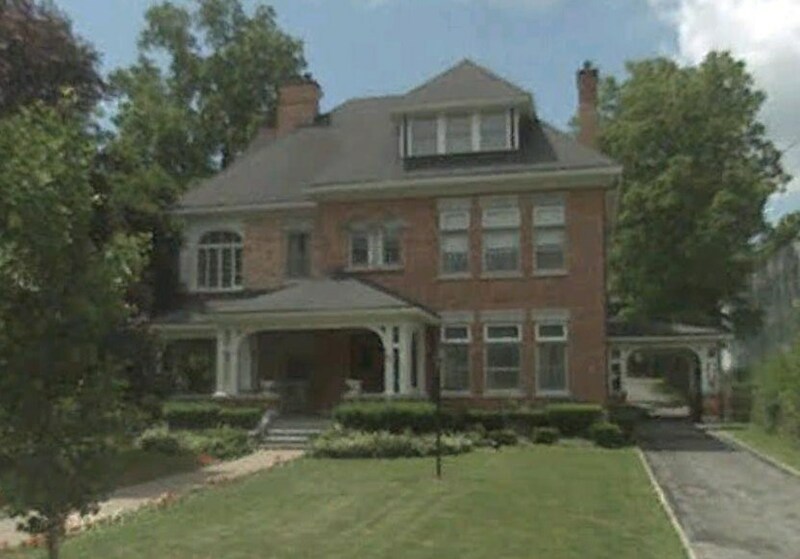 The house once owned by Dr. Humphreys still stands at 67 South Street. Suzanne was born on April 2, 1915 in Far Hills New Jersey. 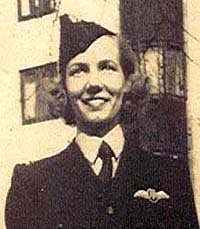 She passed away in her Grand View-On-Hudson, NY, home on July 25, 2001 after being ill for a few months. 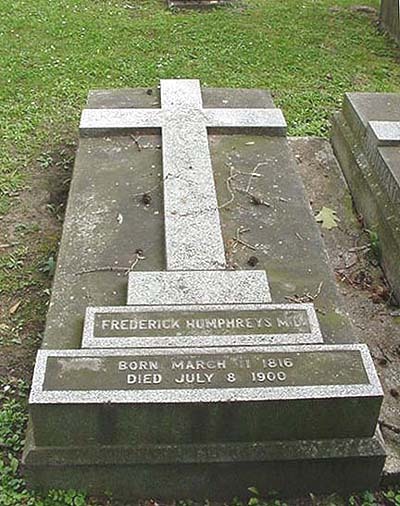 The Humphreys family was renowned for homeopathic medicine. 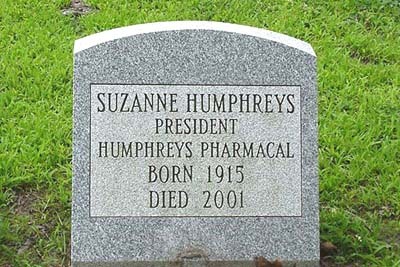 Suzanne's great-grandfather was a doctor and started his own homeopathic business, which is now known as Humphreys Pharmacal, Inc. The Humphreys lot is located in the Council Ground section of the Cemetery.